200 arriving 31-May-2019 eMail us to reserve stock. 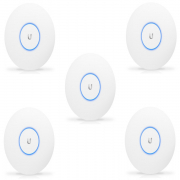 The Ubiquiti UniFi AC In-Wall Access Point 5 Pack (UAP-AC-IW-5) is perfect for both retrofit and new installations. 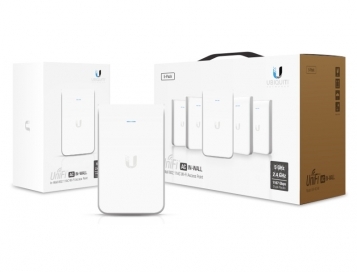 These compact units will enable users to convert any Ethernet wall jack into a dual-band 802.11ac WiFi access point featuring 2 Gigabit Ethernet ports. 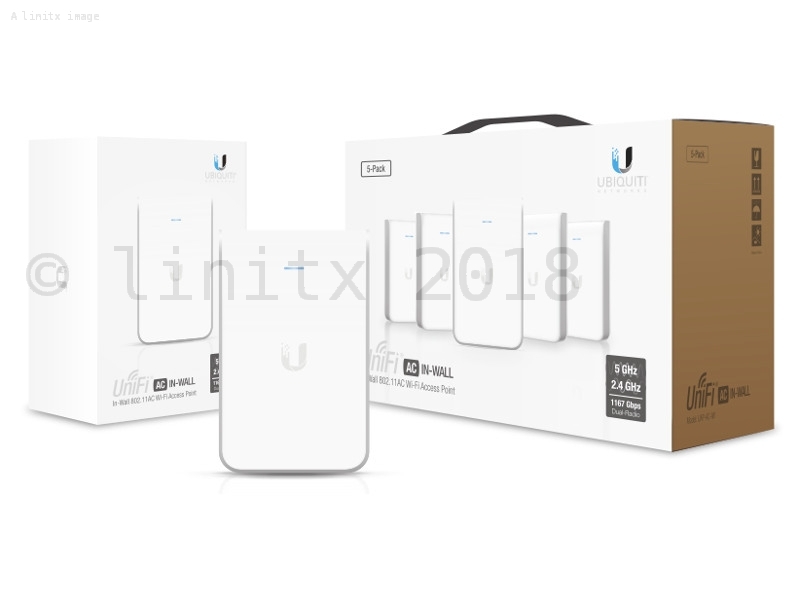 For those customers only requiring a single unit, LinITX offer the Unifi In-Wall Wireless Access Point (UAP-AC-IW), these are exactly the same units offered in the 5 pack. The UAP-AC-IW-5 offers up to 300 Mbps speeds on the 2.4GHz band and up to 867 Mbps on the 5GHz band. It also features one PoE port capable of powering 802.3af compatible devices.